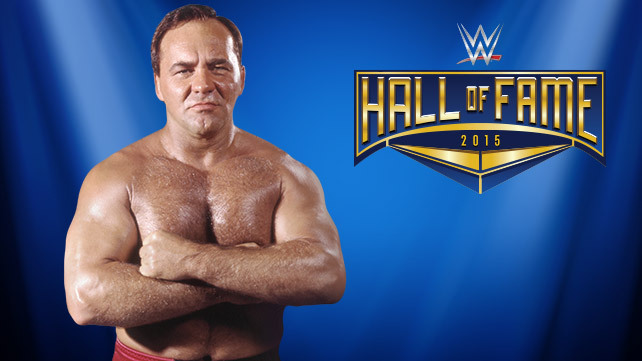 WWE.com has reported that the latest entry into the WWE Hall of Fame will be none other than the “Living Legend” Larry Zbyszko! Larry Zbyszko headlined an enormous show for the WWWF in 1980 against his “mentor” Bruno Sammartino after Larry turned against Bruno. He later had great success as two time (and last) AWA champion and tag team champion in the NWA/WCW before retiring in 1992. My favorite thing about Larry has to be his commentary. He liked who he liked and hated who he hated. And in WCW, he HATED the NWO. It made for fun terms like New World Oder and other great Larryisms. Take a quick look of some of Larry’s work. The full review of him will come later in the week! This entry was posted in Class of 2015, WWE Hall of Fame NEWS and tagged class of 2015, Larry, larry zbyszko, WWE Hall of Fame. Bookmark the permalink.